One of the world's most northerly mosques has opened in Inuvik, N.W.T., where the Arctic town's growing Muslim community is celebrating its new place of worship. Mosque travelled 4,000 kilometres from Manitoba to Inuvik, N.W.T. Affectionately being dubbed "the little mosque on the tundra," the Midnight Sun Mosque and community centre officially opened at a ceremony Wednesday afternoon. 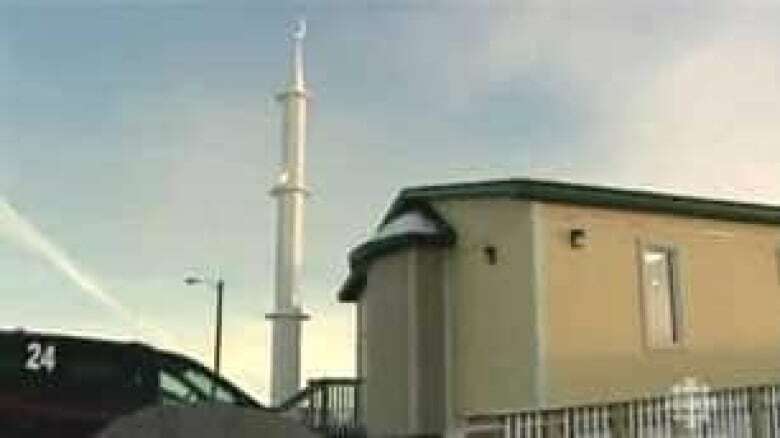 The beige mosque has made a 4,000-kilometre journey by road and river from Manitoba, where it was built, through two provinces and the Northwest Territories to the Arctic town. 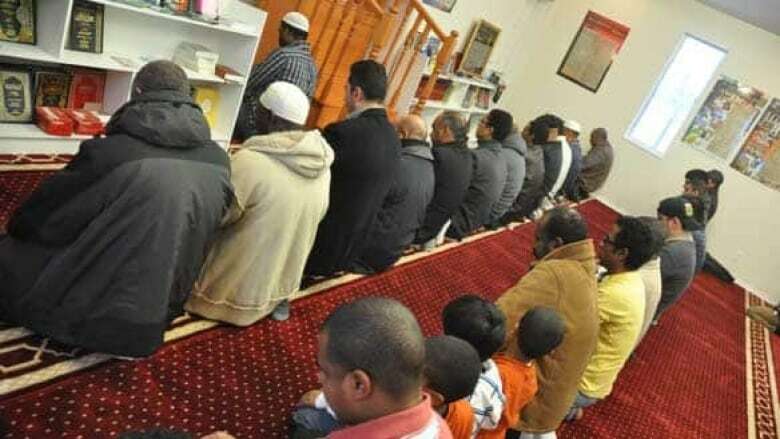 While not the first mosque in Inuvik, a town of about 3,200 people, the new building is a significant improvement from the small one-bedroom trailer local Muslims prayed in during the past decade. "It's a very personal achievement for all of us because we were in a small building, the old one, and now we have this one," Ahmed al-Khalaf, who helped organize fundraising efforts for the mosque, told CBC News. "For the whole town of Inuvik, it's another new building in town, and everybody's welcome here," he added. The new mosque sits next to a 10-metre minaret topped with a crescent moon. ((CBC))The 1,554-square-foot mosque has room for a kitchen, a library and a children's playroom. Unlike the old trailer, the new building has a room for women to pray in. The main prayer hall, which is divided into sections for men and women, has a luxurious red carpet, which was donated by a man in Dubai. News of the mosque's arrival inspired Fathallah Faragat, a carpenter from St. Catharines, Ont., to travel to Inuvik to help with final preparations to the building. Faragat even designed and built a 10-metre-tall minaret, with a crescent moon on top, next to the new mosque. Dozens of Muslim families in Inuvik have had to send their children to live elsewhere in Canada because there was no mosque or Islamic education centre in town. While Inuvik's Islamic community is small — only about 100 members — it is growing, prompting the need for a bigger mosque. The Zubaidah Tallab Foundation, a Manitoba-based Islamic charity, raised more than $300,000 to build and ship the structure north. That saved Inuvik's Islamic community tens of thousands of dollars in labour and material costs, which tend to be higher in the North. In September, the completed mosque travelled by flatbed truck through Manitoba, Saskatchewan and Alberta, then up to Hay River, N.W.T., where it was put on the last barge of the year and floated down the Mackenzie River to Inuvik.